"The Worst Thief Is He Who Steals The Playtime of Children" -- W.D. Haywood -- Join The I.W.W. And Help Put The Thieves To Work. Paper gummed label, also known as "stickerette" or "silent agitator." 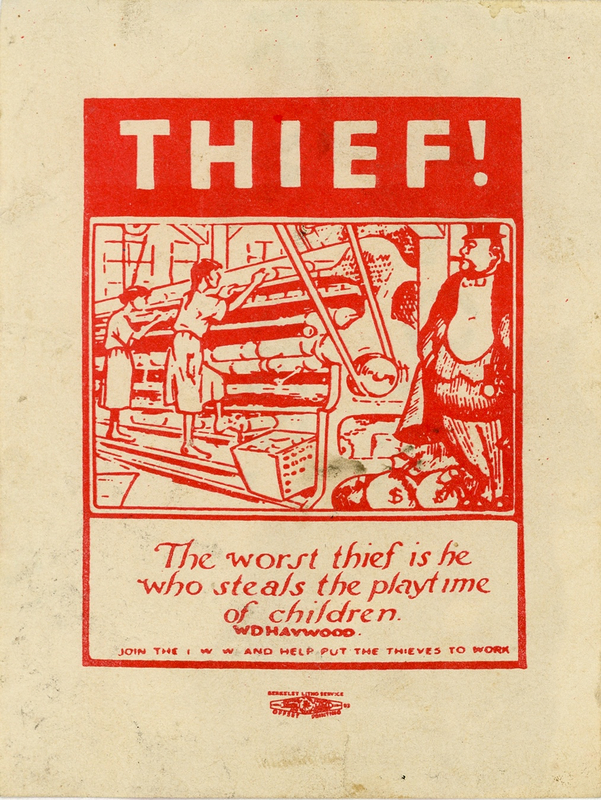 Message that protests the exploitation of children in textile mills. Features a quote by Big Bill Haywood, a founder of the Industrial Workers of the World and United States labor leader.